It has been several weeks since the election and its shocking results. Of course, the chaos continues, and I may speak to that later on. However, right now, I want to address a kind of sad thing that I have seen growing in the Democratic Party. This is a small, civil war between Bernie and Hillary supporters. Today, I saw yet another handful of posts from Bernie supporters going on about how the DNC screwed up by “anointing” HRC to be candidate, and cutting Bernie out. I have to say that this year, I was pleased that, as a Democrat, I had TWO excellent candidates to vote for. Both Bernie and Hillary were strong candidates, with many views I agreed with and support. I actually voted for Bernie in the Primaries, but, was not upset that HRC took the Nomination. I was especially pleased that she was flexible enough to respectfully look at Bernie’s platform, and incorporate a number of his goals into HER platform. This harping about Bernie vs Hillary is really not worthy of us as progressives. Frankly, y’all who believe that Bernie would have swept the election seem, to me, to be living in as much of a fantasy world as the donald minions. 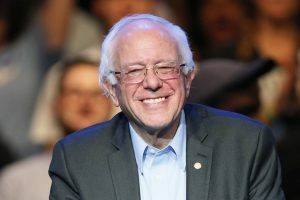 Between the fact that the donald appealed to a group of Americans that Bernie would NOT have; That Bernie DID have some platform planks that were unrealistic (at best); and the recent revelations of the Russian involvement in the election, I believe he would have gotten pushed out just as HRC was. Their comments about Bernie being an unbeatable candidate is also undercut by the fact that HRC has (as of today) gotten close to 3 MILLION more votes than the donald. 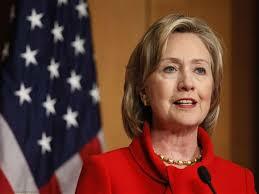 However, thanks to the “Winner take all” laws controlling the Electoral college in most states, she was pushed out. Is this “proof” that Bernie would have won? Or lost? No, not really, because speculation about him taking the election is a “What If” question that has no solid answer. I suggest that we, as liberals and progressives, spend time working to make sure that voters understand why we are NOT demons, and that our path is the better one for bringing America back to greatness. Infighting is a pathetic and sad way to live and will only ensure that we continue to lose representation in the Federal Government. What should we do? I suggest these as things that are important to do. Work, on a national level and a local level to get Gerrymandering declared illegal. Require that Congressional districts be drawn by computer, without regard to political party. VOTE! Make it a point to vote in every coming election for at least the next four years. When voting, of course, make sure that the candidates are Liberal/Progressive alternatives. As a part of this, work to support Liberal/Progressive candidates running office. Volunteer to help, contribute cash to campaigns, use social media to push the Liberal agenda and to combat lies where ever they come from. Try to moderate our views about alternative candidates within the party. PLEASE remember that simply because a candidate has a differing opinion about the proper course of action, that does not make them a raving madman, or a demon from Hell bent on destruction of everything good. Reserve those feelings for the few candidates who actually ARE so ignorant, or evil that they are trying to destroy America. in a loud and proud voice. promise he made to them. This entry was posted in Ethics, General, Humanity, Nuttiness, Politics and tagged Bernie Sanders, Hillary Clinton, moving forwards. Bookmark the permalink.